New Zealand growers are gearing up for the world’s biggest fresh produce show in Berlin as their apple and onion harvests start. One of the country’s leading growers, Bostock New Zealand is sending it’s largest ever contingent as the company grows and looks to further develop strong relationships with Europe, America and Asia. Bostock New Zealand Owner, John Bostock says the trade show is incredibly significant because of the timing. Bostock New Zealand’s onion packhouse is in full swing with the company recently investing in high-tech technology. “Our new automated bagging machines and other equipment ensure more accuracy and efficiency and response time. 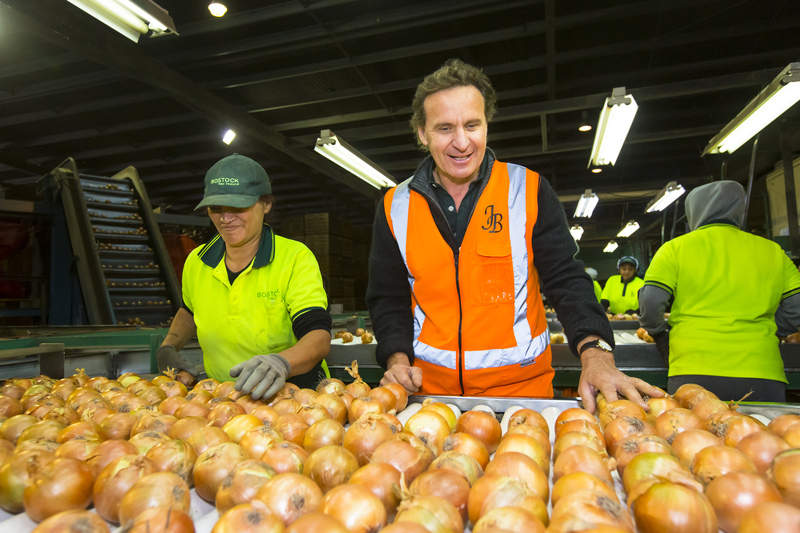 “With improved expertise and investment Bostock New Zealand can continue to deliver good quality, certified onions to our international customers,” said Mr Bostock.